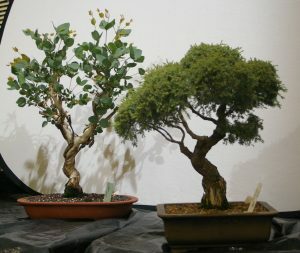 The April meeting of the club featured a presentation by club member Annalea Smith on the selection and development of young starting stock for bonsai. 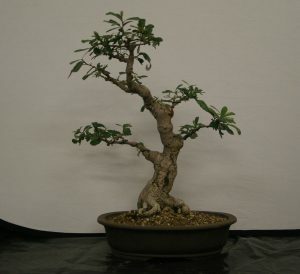 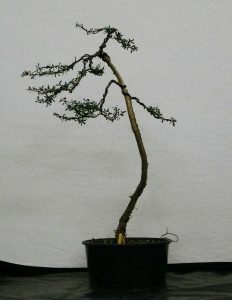 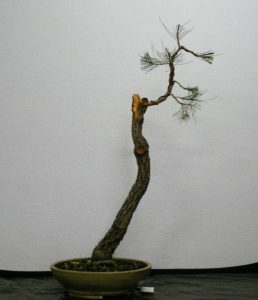 With Annalea’s well-established background of turning young nursery plants, both seedling-grown and from cuttings, into interesting and very promising bonsai over the course of a few seasons of growth and development, the presentation provided much of interest and inspiration for the members present. 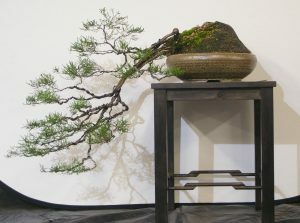 Annalea emphasised the need to commence developing the movement and the future frame of these young trees from the very earliest stages, looking for movement and taper at the start, and enhancing these with wiring and pruning from the start. 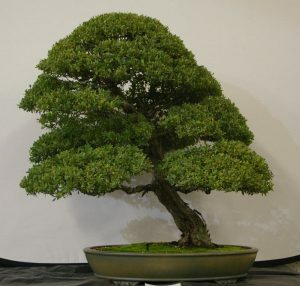 In addition, root pruning and repotting from the earliest stages gives her trees the best opportunities for fast early growth and and development for the future. 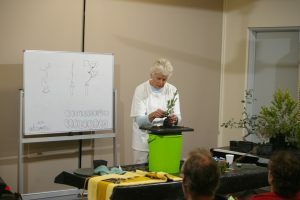 One of Annalea’s key messages was the need to keep visualising the future shape and style of the young seedlings as you wire and develop the trees. 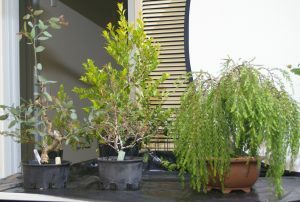 Amongst the species featured by Annalea in her presentation were Eucalyptus leucoxylon, Acacia howittii, Melaleuca incana and Eucalyptus sideroxylon.